BIRMINGHAM, Ala. — The excitement of the NCAA Tournament is no longer limited to those watching in the arenas or on television: Millions more soak in the drama of college basketball’s big spectacle on social media through their mobile devices. And the biggest storytellers are the players themselves. “People follow people on social media a lot more fervently than they follow brands,” says Jim Cavale, INFLCR founder and CEO. “The reality is that the players, collectively, can reach a much larger audience than the team can reach on its own or even the networks that are broadcasting the games on television. The tournament began with more than 200 athletes, representing more than 20 teams teams in the field of 68 using the INFLCR software. 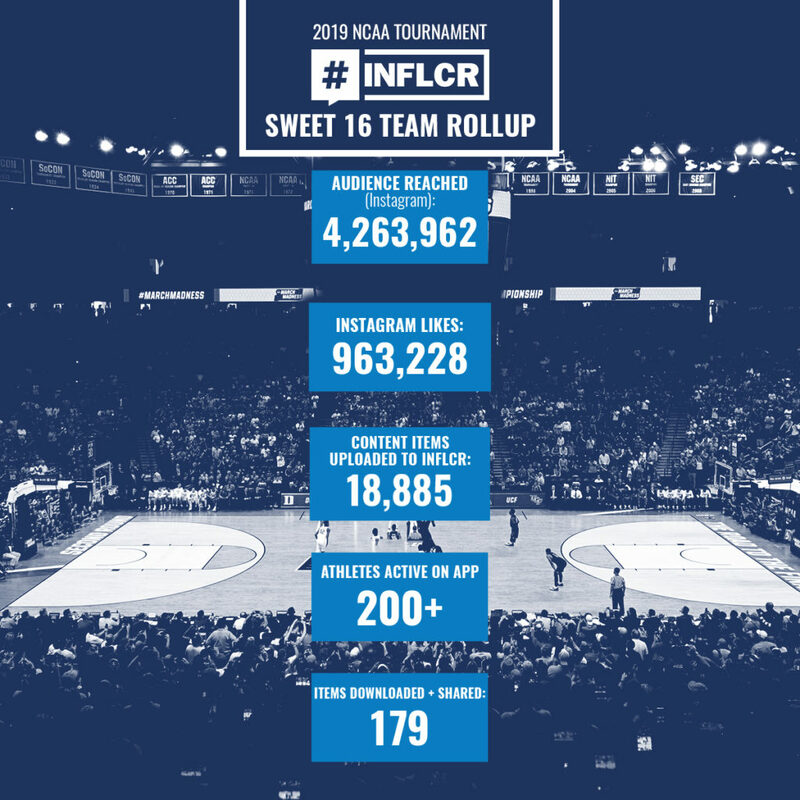 After the tournament’s first weekend, a total of six teams that advanced to the NCAA’s Sweet 16 are using INFLCR to help their athletes tell their story on social media. They also are tapping into INFLCR’s partnership with USA Today’s IMAGN content, helping to ensure the players, coaches and staff have access to high-quality national-media content right on their mobile devices in the heat of March Madness. 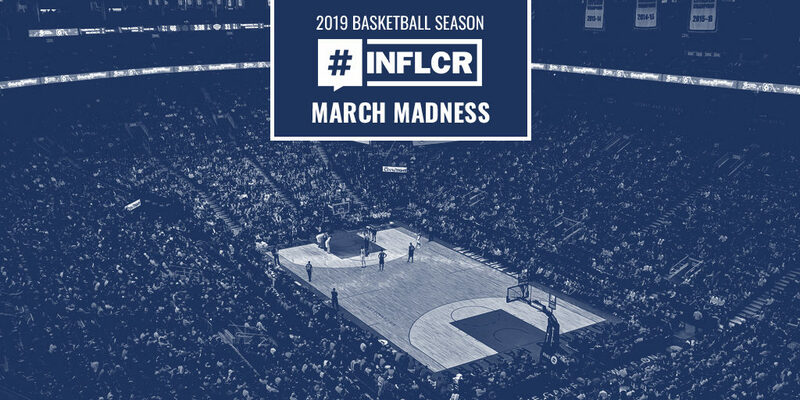 More than 80 brand ambassadors representing those six teams that advanced to the round of 16 combined to download and share 179 content items via INFLCR. They reached a staggering cumulative audience of more than 4.2 million on Instagram, garnering almost 1 million likes on those posts. As a group, they achieved an engagement rate of almost 27 percent on each post, far above the typical social-media industry average of 5-10 percent. The Auburn Tigers are in the Sweet 16 for the first time since 2003, knocking off another INFLCR client, the Kansas Jayhawks, to punch their ticket. The Southeastern Conference Tournament champions square off next against top-seeded UNC, another INFLCR client. The Tigers’ journey has been told on social media by student-athletes like star guard Bryce Brown. His two posts of content accessed via INFLCR earned more than 23,000 likes on Instagram. 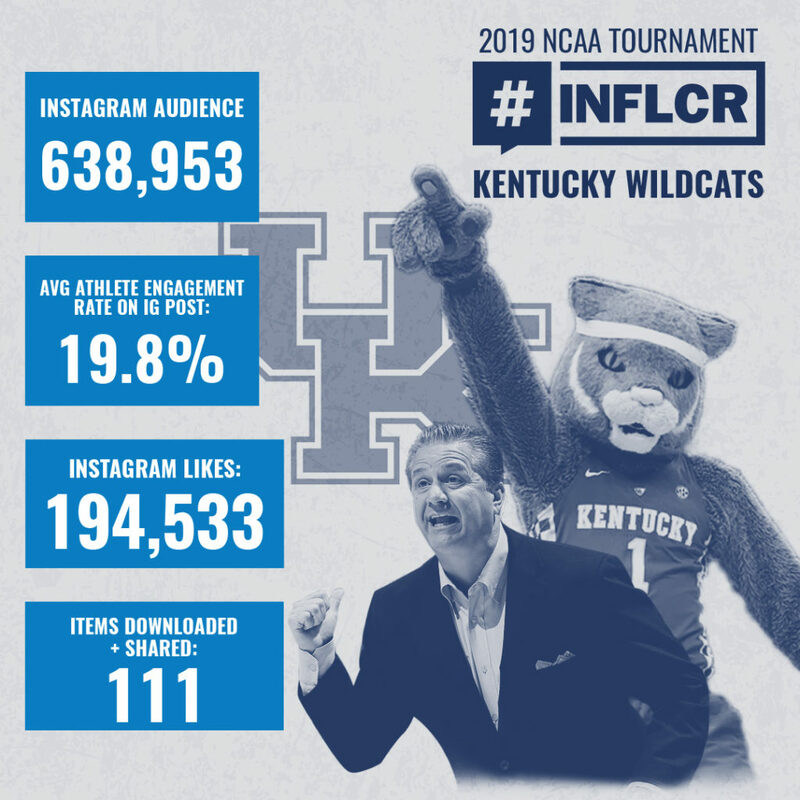 Eleven Kentucky Wildcats posted to Instagram using content accessed via the INFLCR mobile app over the tournament’s first weekend. Collectively, they earned more than 194,000 likes on those posts with an audience reach of more than 638,000. On social media, it’s not just the game action that drives the story. And the athletes who are on the periphery of the action have a story to tell even if they are not the ones making the big-time play. Take Kentucky star P.J. Washington, for example. Out with an injury for Kentucky’s first two games, he got more than 22,000 likes on a post to his 127,000 Instagram followers. Kentucky, of course, will hope to see Washington back in action before the tournament ends. And whether it is Washington or someone else, March is the time when athletes step up to make their mark on the national stage. “We talk a lot about athletes being ready to seize their big moment,” Cavale says, “and there’s no bigger moment than the NCAA Tournament for a college basketball player. Are you going to be ready for that moment on social media when it comes? Are you going to leverage your opportunity in the spotlight and use it for good? In its second year of operations, INFLCR currently serves more than 40 collegiate and professional sports brands, including NCAA Division I programs from the BIG EAST, SEC, ACC, Big Ten, Big 12, American, Mountain West, Conference USA, Sun Belt, Mid-Eastern Athletic and America East conferences.